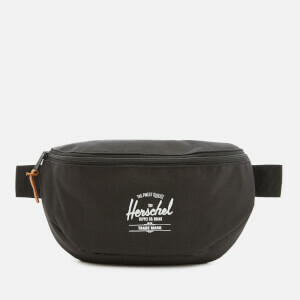 Men's toiletry bag from Herschel Supply Co. 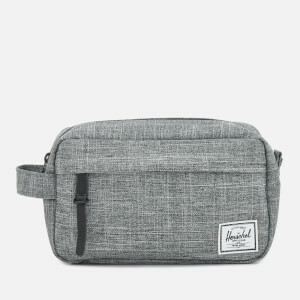 The 'Chapter' travel kit is crafted from grey, woven fabric and features a side handle for convenient carrying. Secured with a waterproof zip, the dopp kit opens to reveal a signature candy striped interior with internal mesh sleeve for storing everyday and weekend essentials. 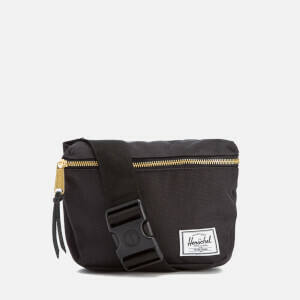 Finished with an external zipped pocket to the front with leather zip pull. 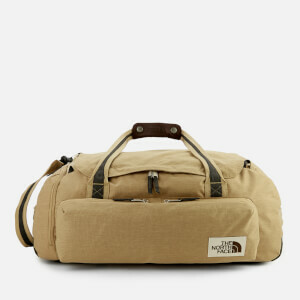 Classic woven label also features.